Last month the world went back to Cape Town for the second time this year, but this time not for football. The third Lausanne Conference on World Evangelisation was being held there. In a truly worldwide consultation, 4000 church leaders and representatives, from nearly 200 countries, were joined virtually by remote participants at 650 different venues across the globe where live streaming of the events was shown, and by over 100,000 individuals observing online. 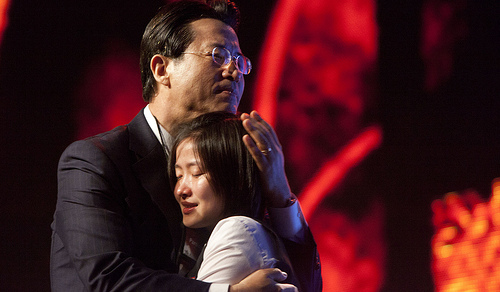 John Oh embraces an Asian believer after she shared the story of her family’s struggles as Christians. This was a marked contrast to the historic Edinburgh Convention which took place 100 years earlier, and which is being commemorated in this and several other missions conferences taking place in 2010. On that occasion the delegates were overwhelmingly from northern Europe and North America, and no Roman Catholic or Orthodox delegates were invited. The Cape Town conference, however, brought together people from diverse cultures and denominations, who brought colour and spectacle to the proceedings by dressing proudly in a variety of ethnic and ecclesiastical clothing. This time round, over 50% of the delegates represented countries which would been considered largely unevangelised by the delegates in 1910. One contingent sadly lacking was the Chinese church. A constitutional commitment to global evangelisation was required from churches wishing to send delegates, and since the official Three Self Patriotic Movement does not have this, it was anticipated that China would be represented by leaders of various unregistered churches. Sadly they were all prevented from leaving the country at the last minute. The absence of this dynamic delegation representing one of the world’s largest Christian communities was deeply significant. 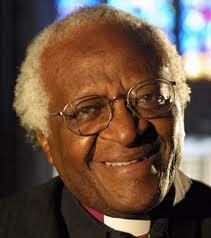 Another notable absence was former Archbishop of Cape Town Desmond Tutu, who has recently retired from public life. A tireless and prominent campaigner against apartheid, and subsequently a vocal advocate of forgiveness and reconciliation, he would have been a highly visible testament to the conference’s twin motifs of faithfulness to historic Christian truth and a call to radical action encapsulated in the conference’s theme: ‘God in Christ, reconciling the world to himself’ (2 Corinthians 5:19). Nevertheless, many global leaders made significant contributions to the proceedings. Billy Graham and John Stott, founders of the Lausanne Movement who are both now too old to travel, sent recorded greetings. Other headline names led expositions of Ephesians but significantly many of the speakers were from Africa, South America and various parts of Asia, often representing areas not traditionally considered Christian. It was encouraging to see the western world relinquishing its traditional dominance over such events, since it now represents so few Christians in comparison to the rest of the world. The second part is due for publication later this year. The aim of this document is to provide a firm evangelical commitment to truth and action to inspire the church globally in its mission. Lloyd Estrada (Philippines) tells a Bible story. 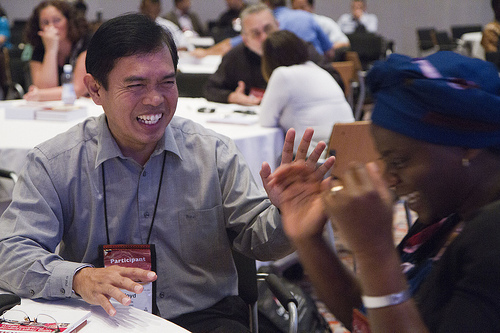 After the second Lausanne conference in Manila in 1989, over 350 missional partnerships between different churches and agencies were started. Syzygy hopes that Cape Town 2010 will give the global church the impetus and sense of urgency needed to finish the task of global evangelisation in this generation, which ironically was one of the objectives of the conference in Edinburgh one hundred years ago. Let us pray that this generation achieves even more than that one did.